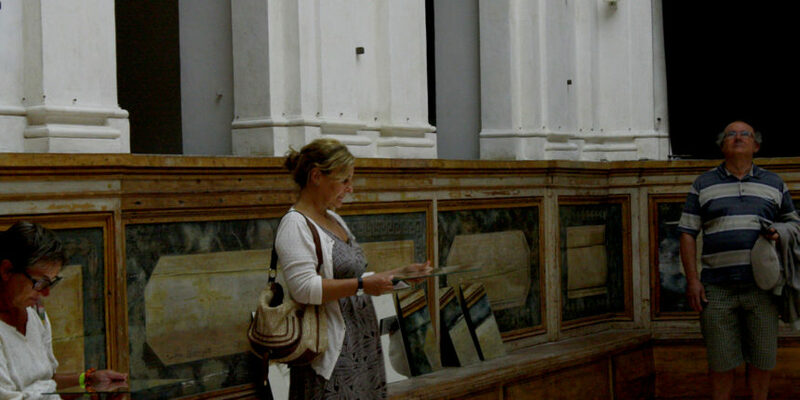 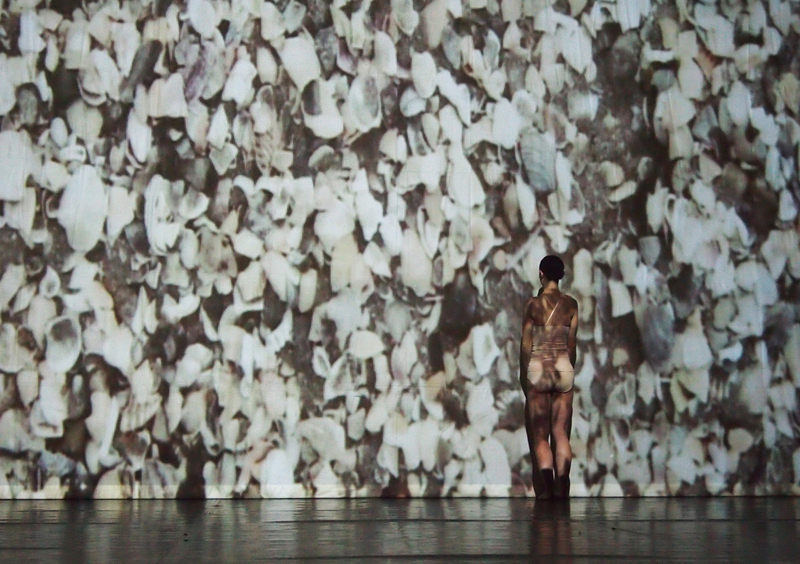 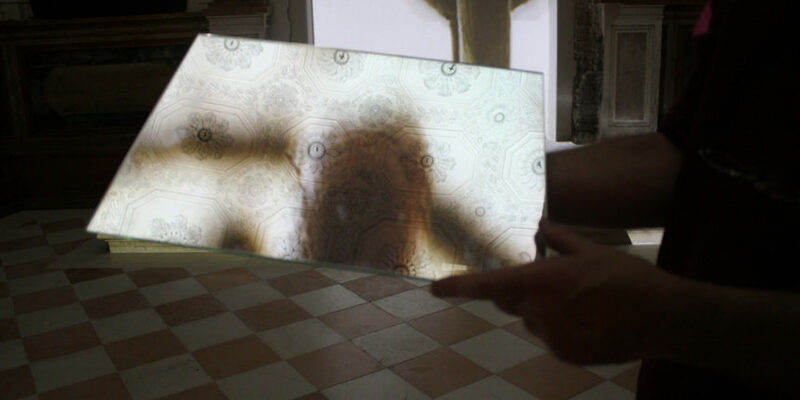 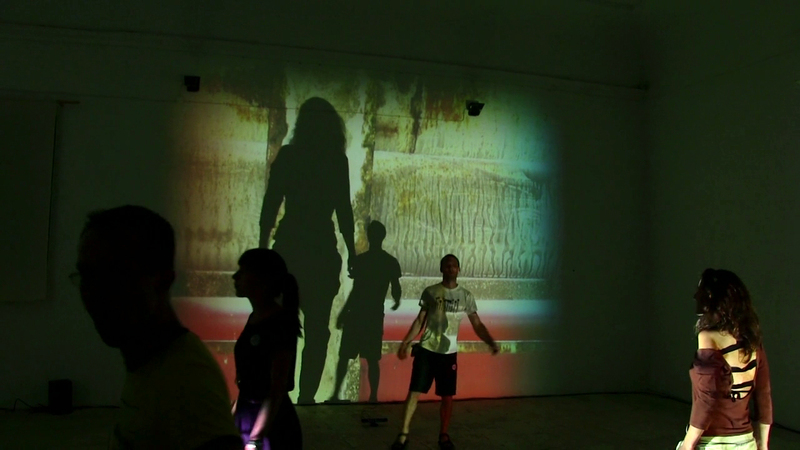 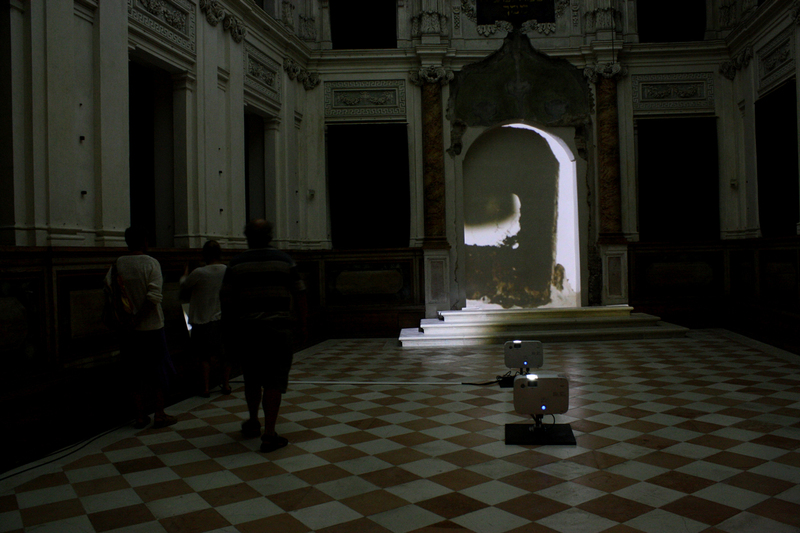 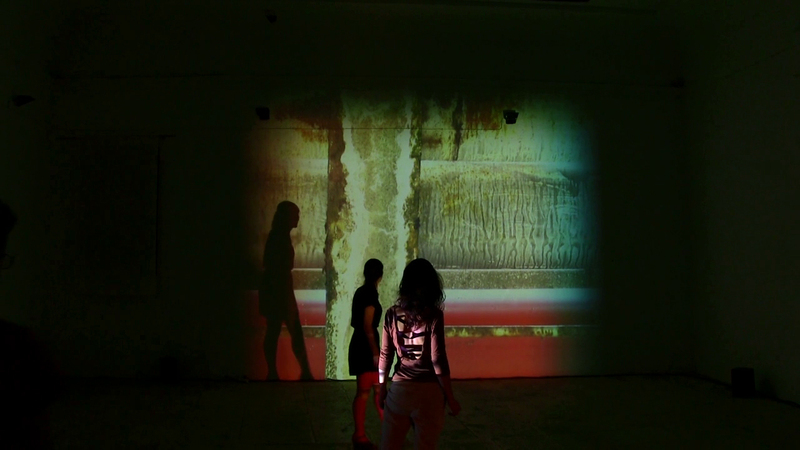 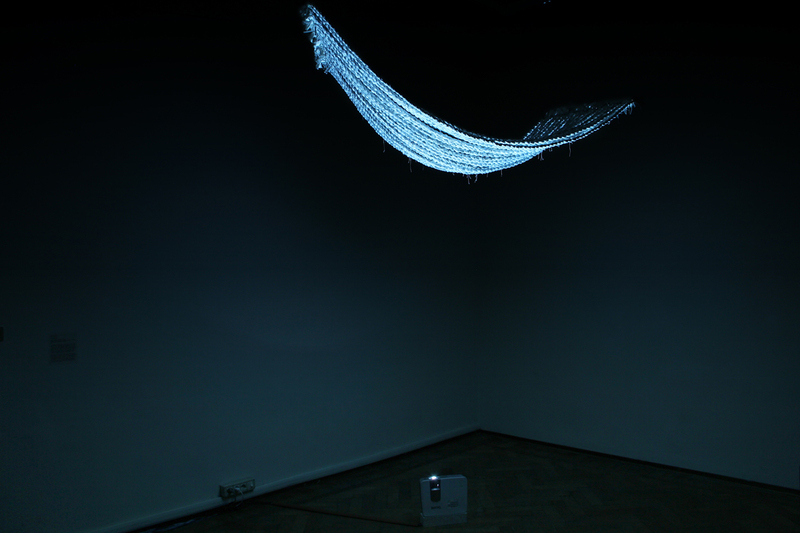 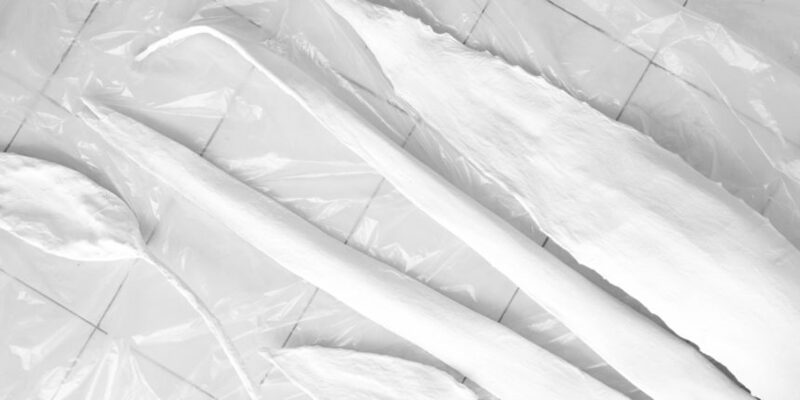 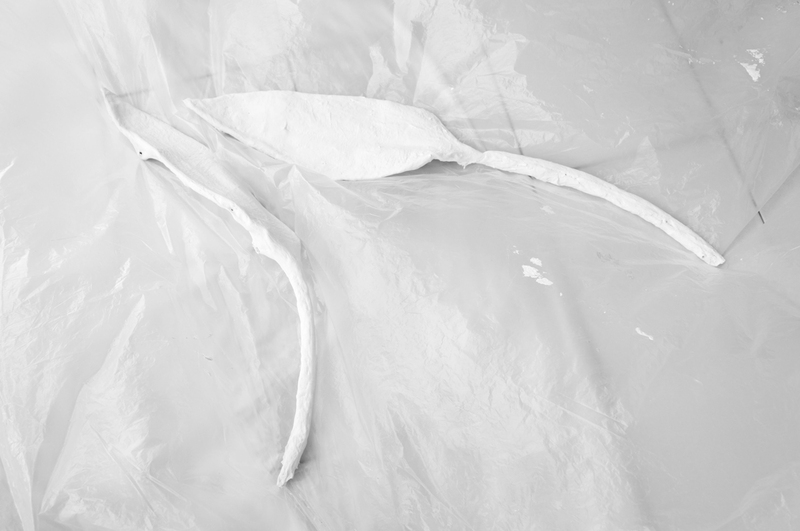 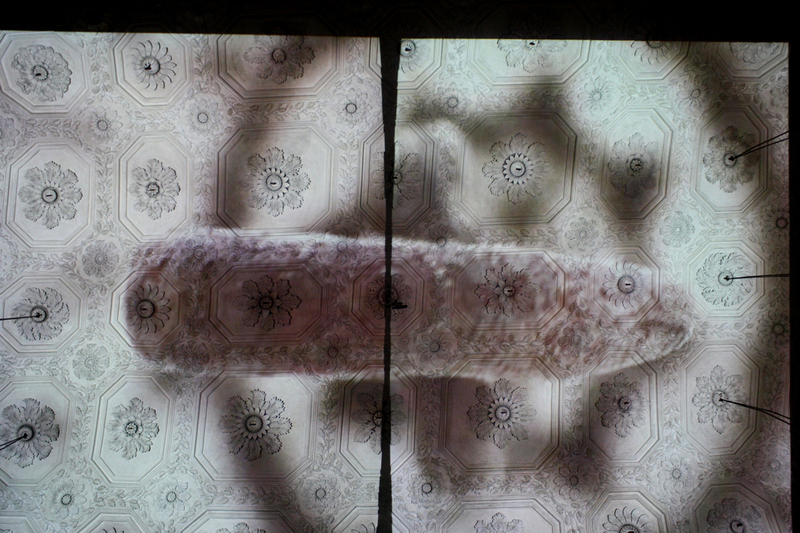 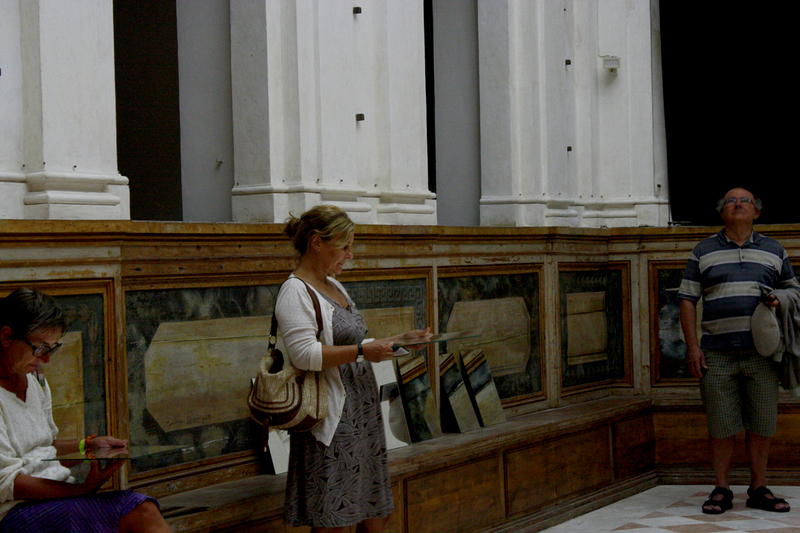 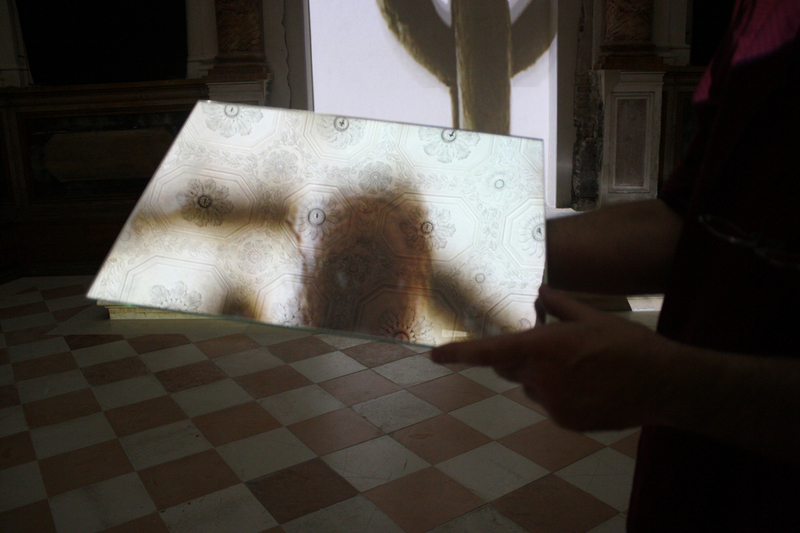 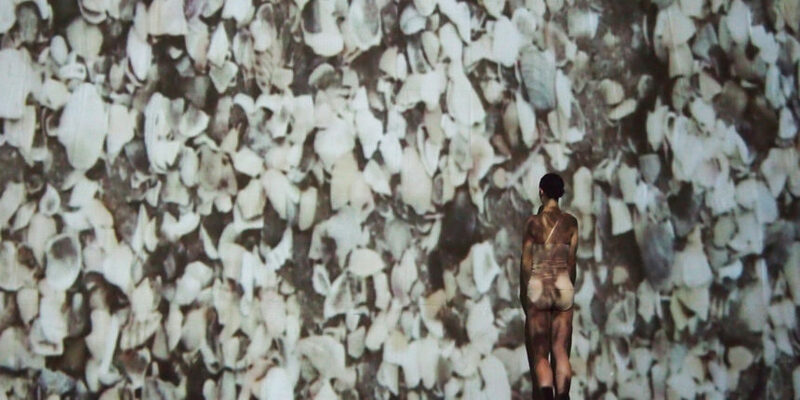 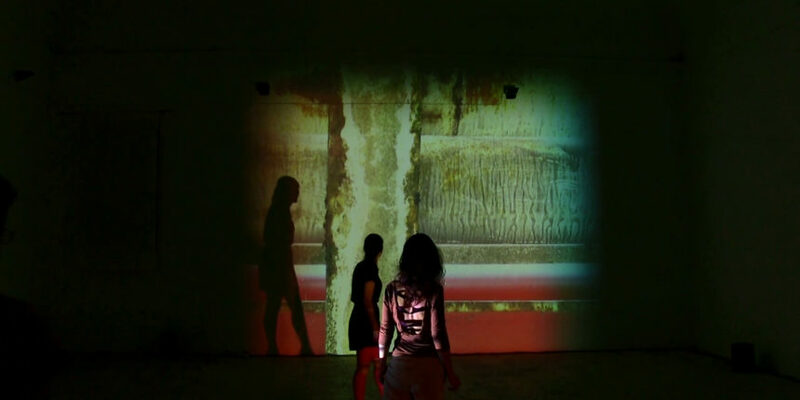 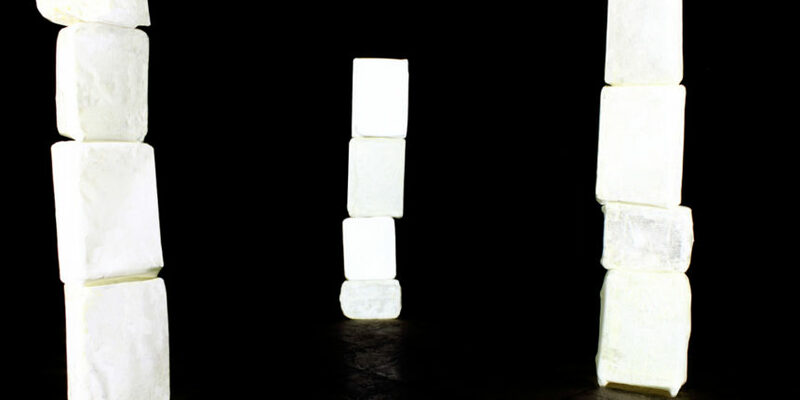 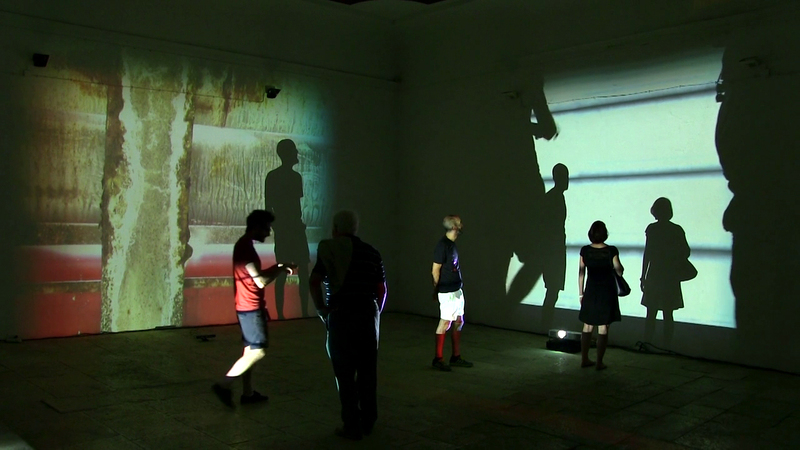 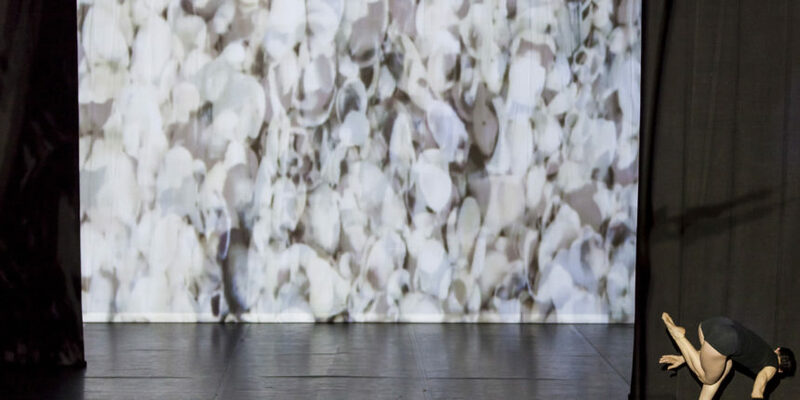 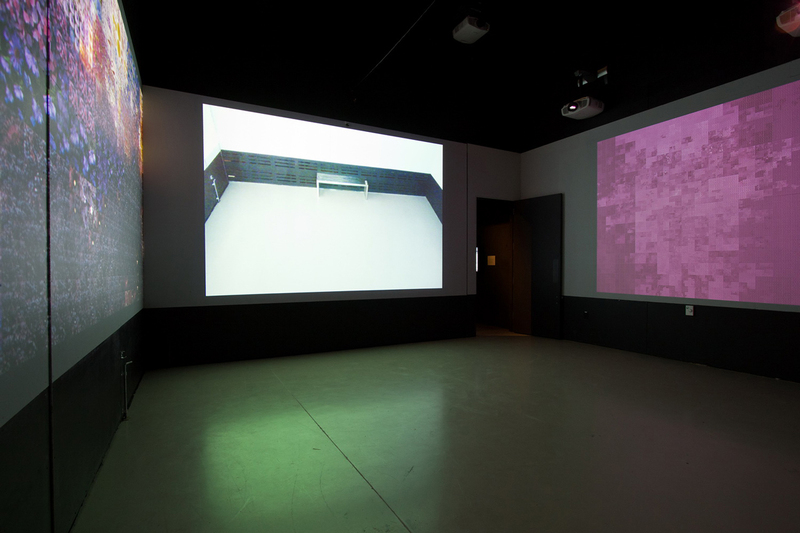 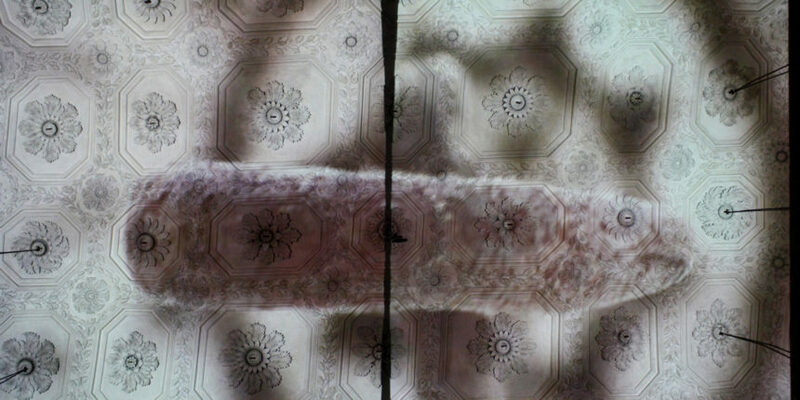 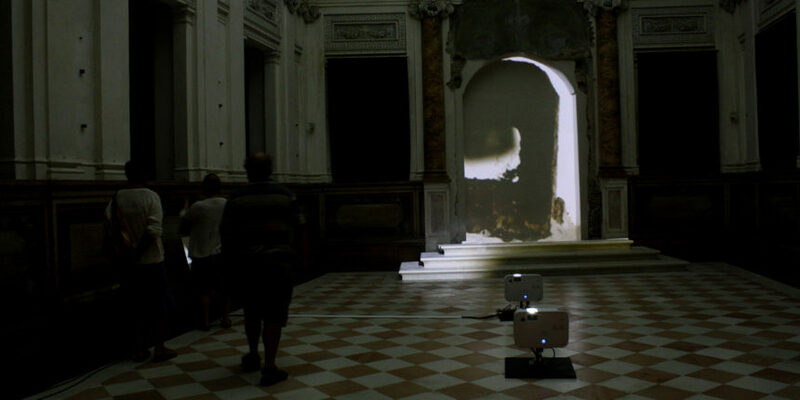 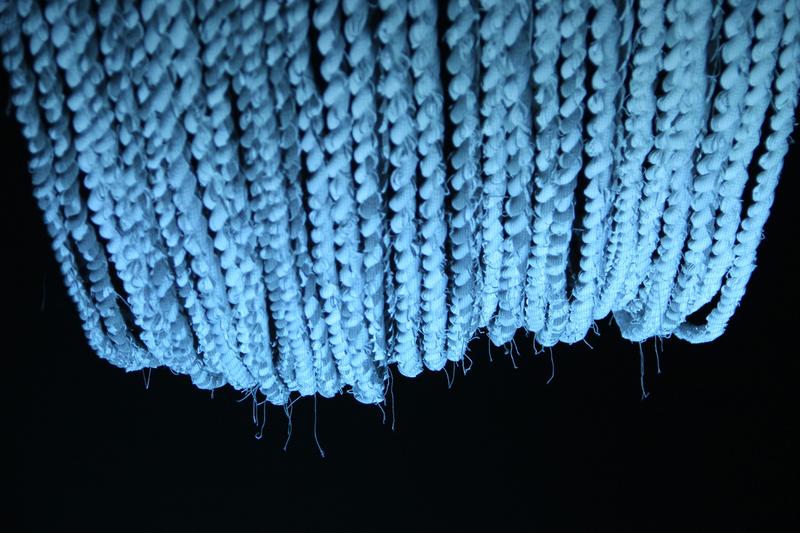 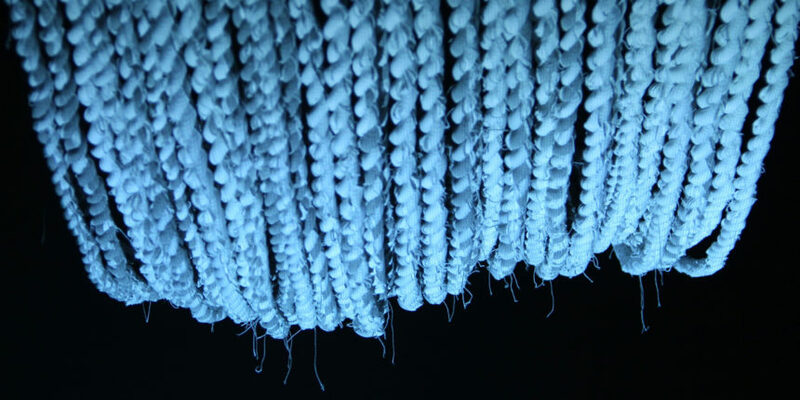 Label – a synthesis of body movement and video projections – explores the deterioration of the body favoring the images. 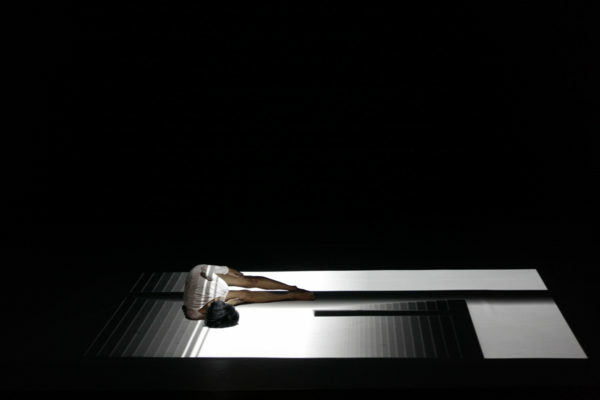 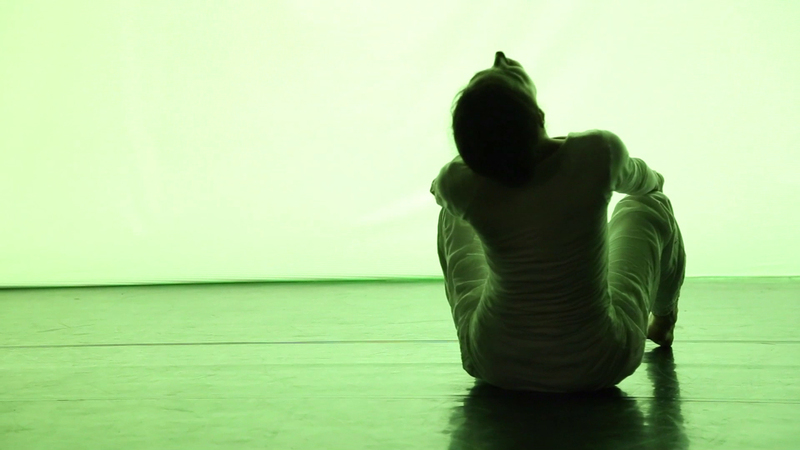 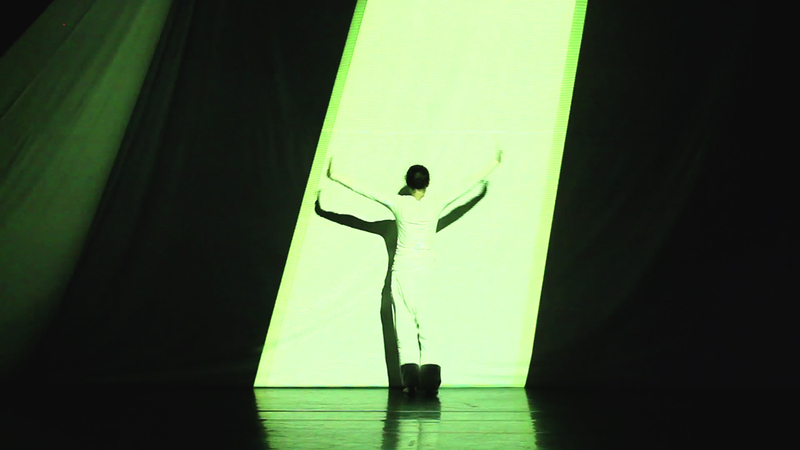 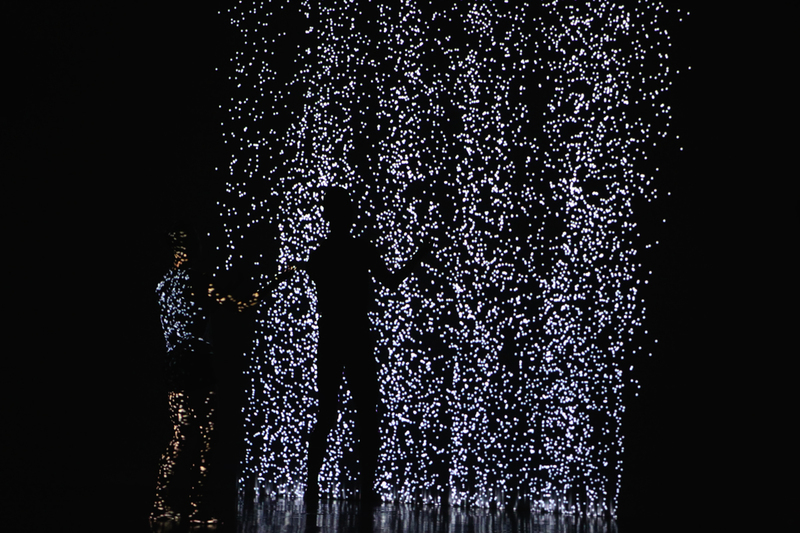 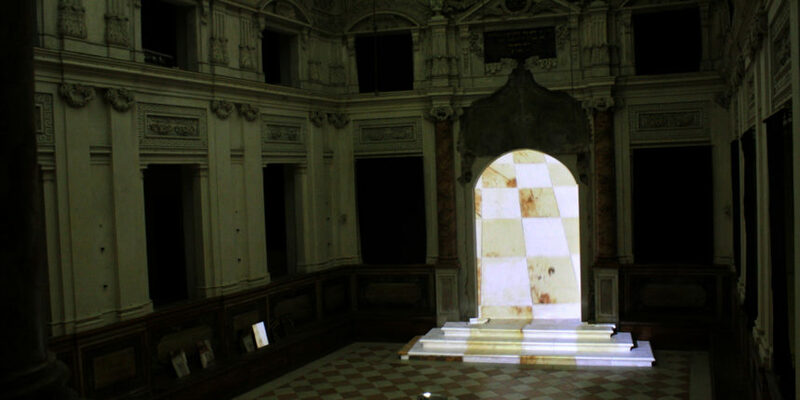 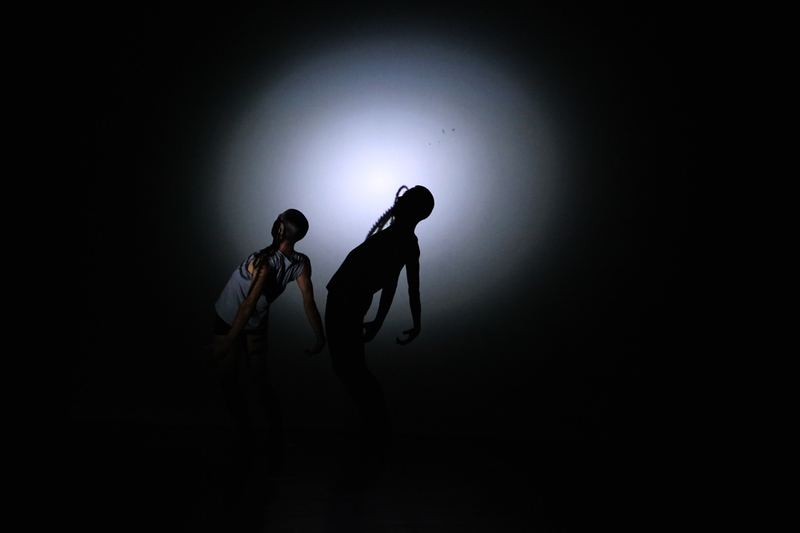 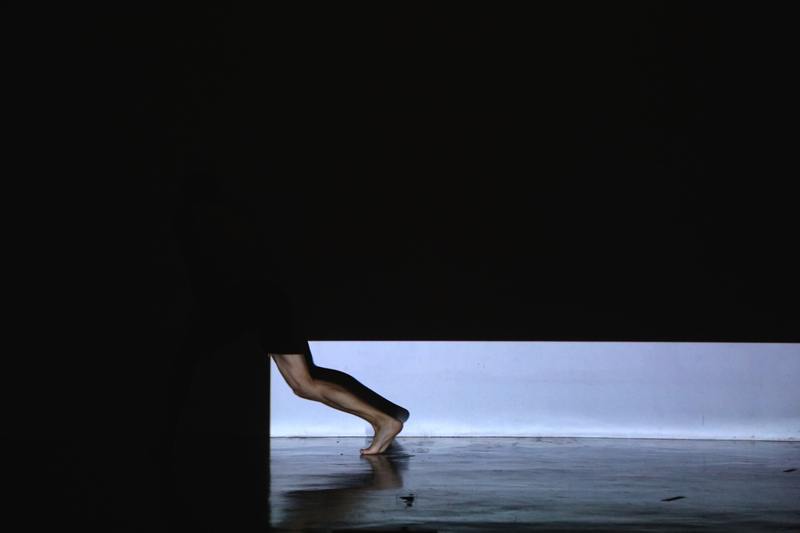 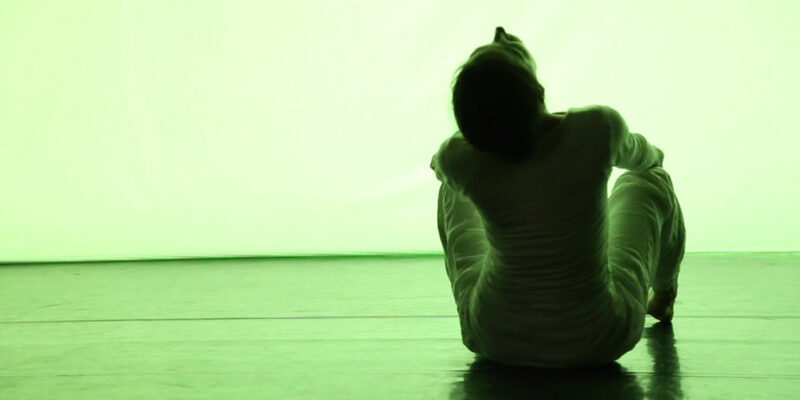 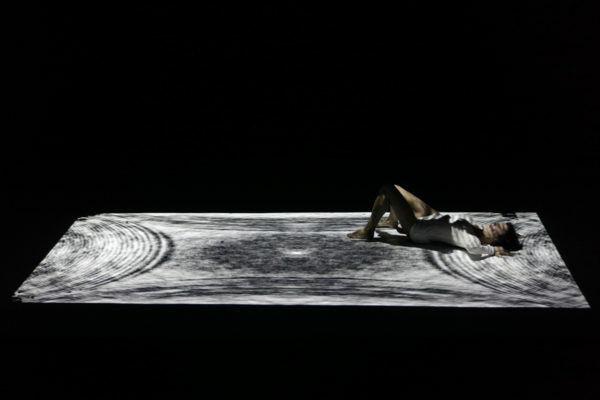 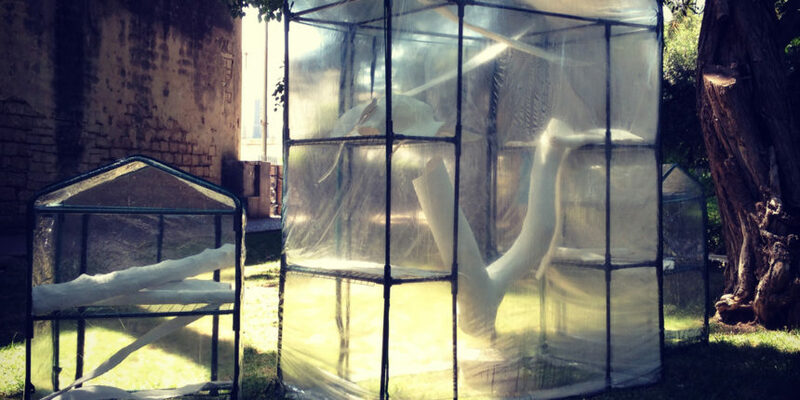 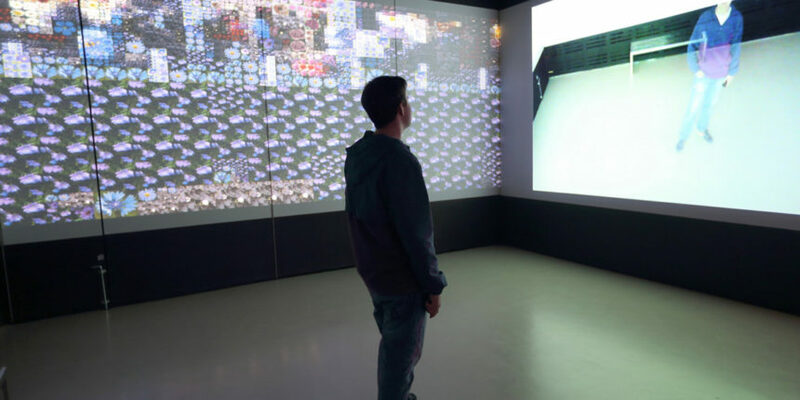 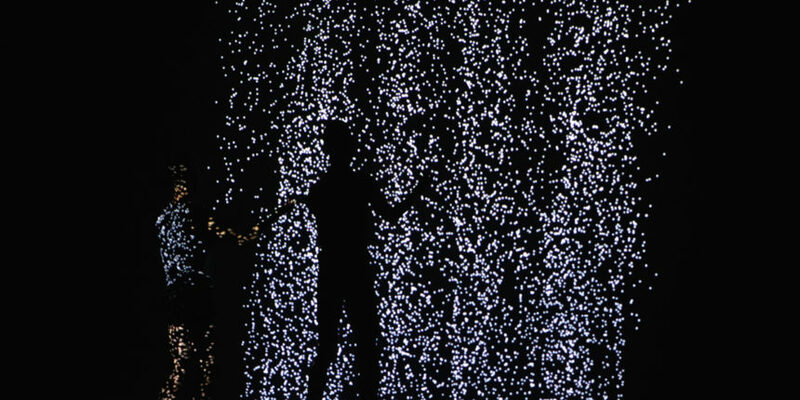 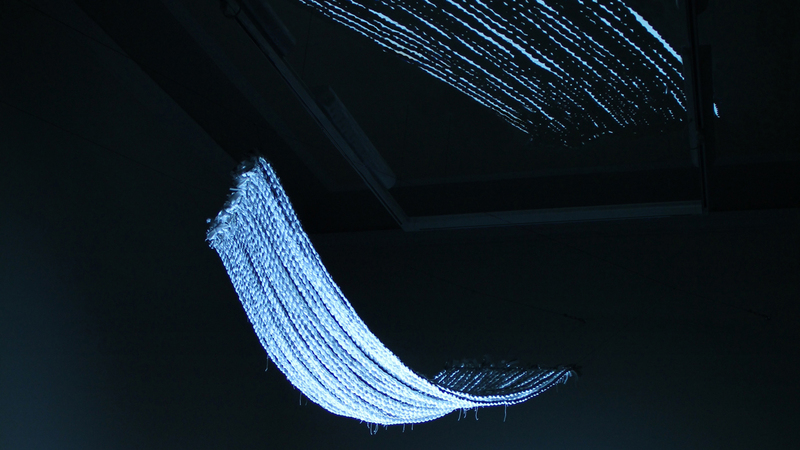 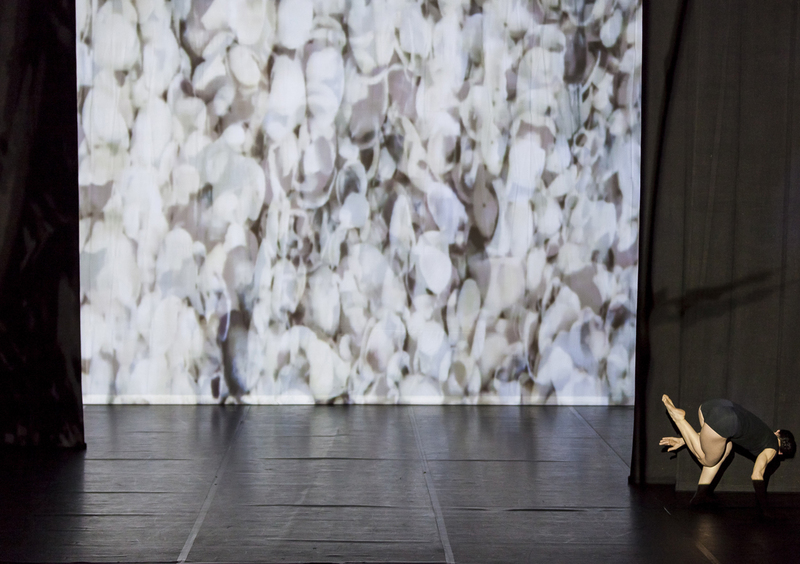 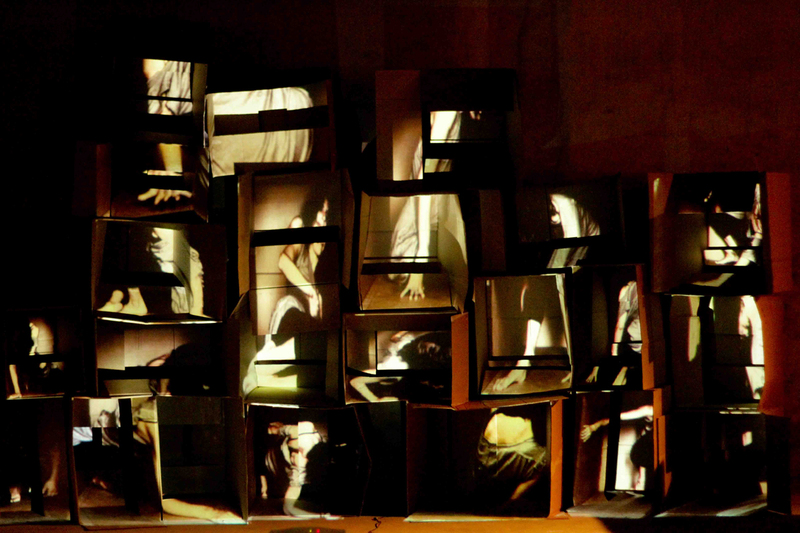 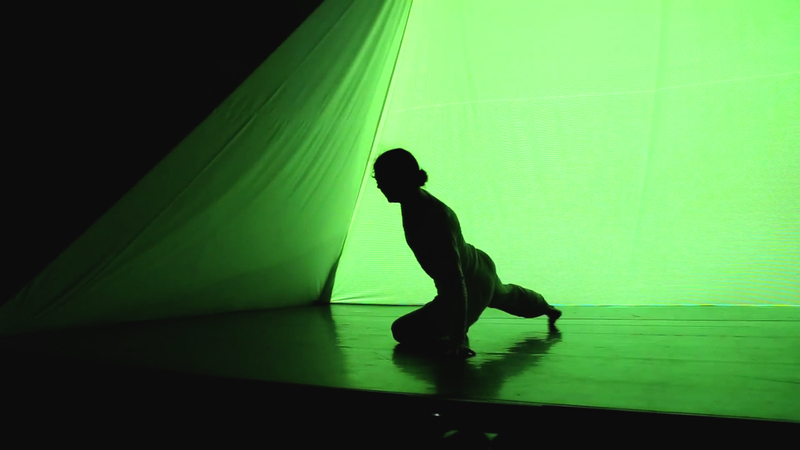 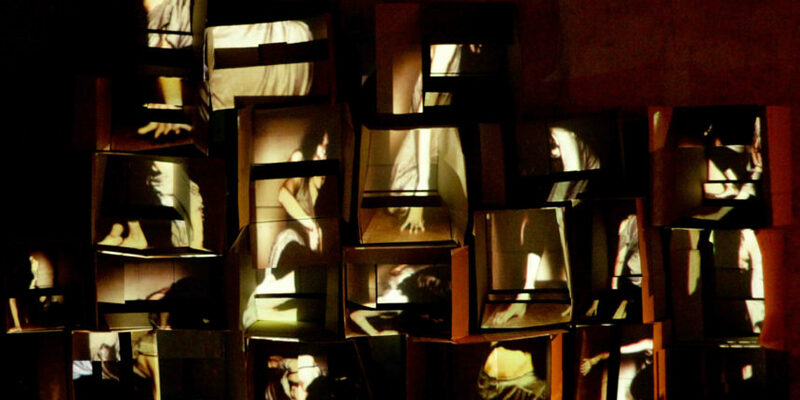 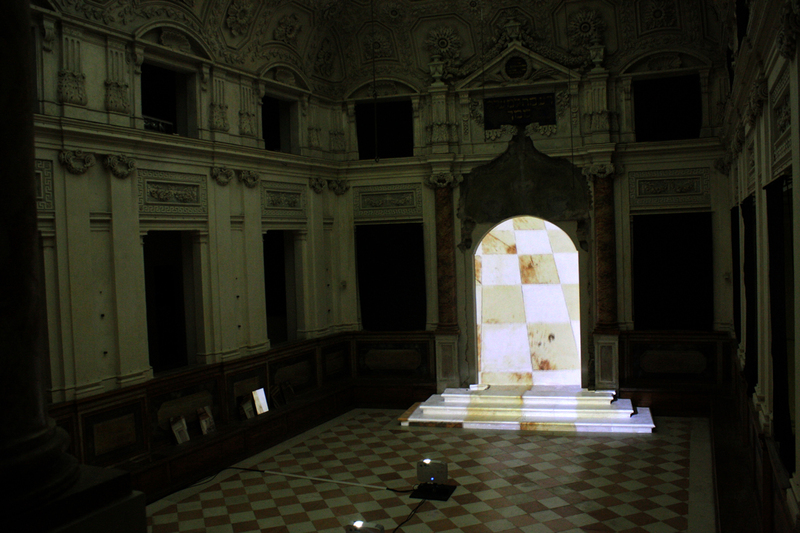 The digital scenography uses the performer’s body generating a new structure that replaces the dancer. 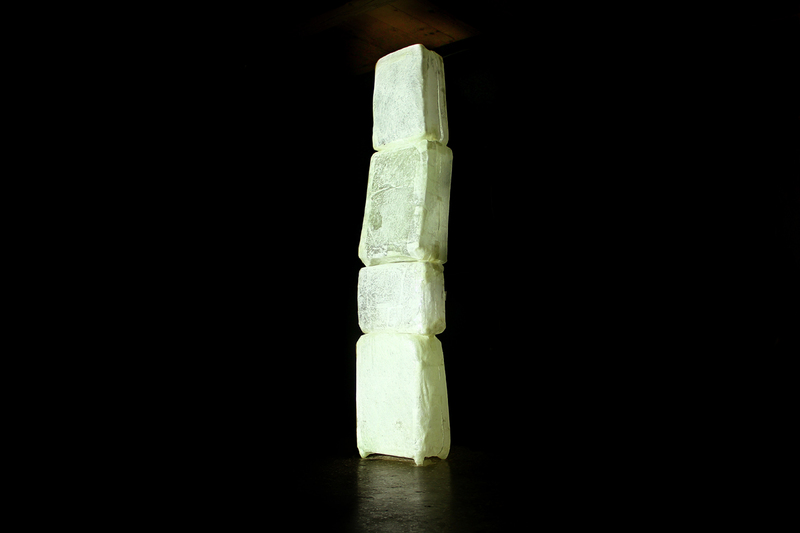 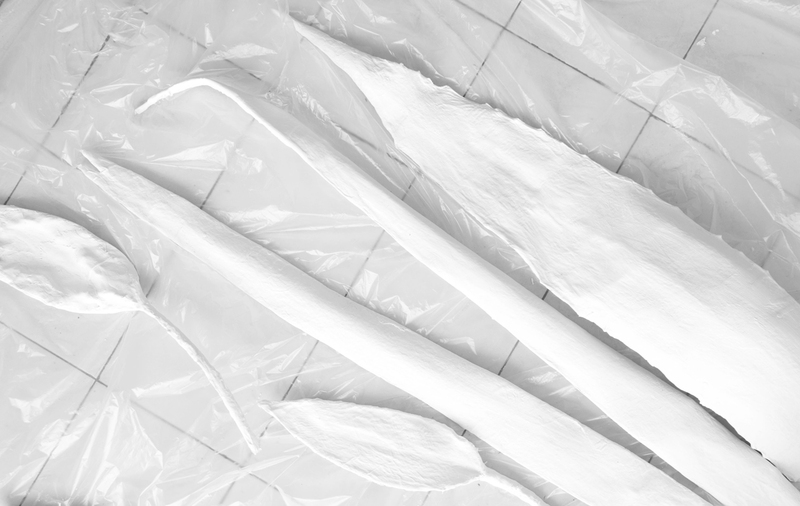 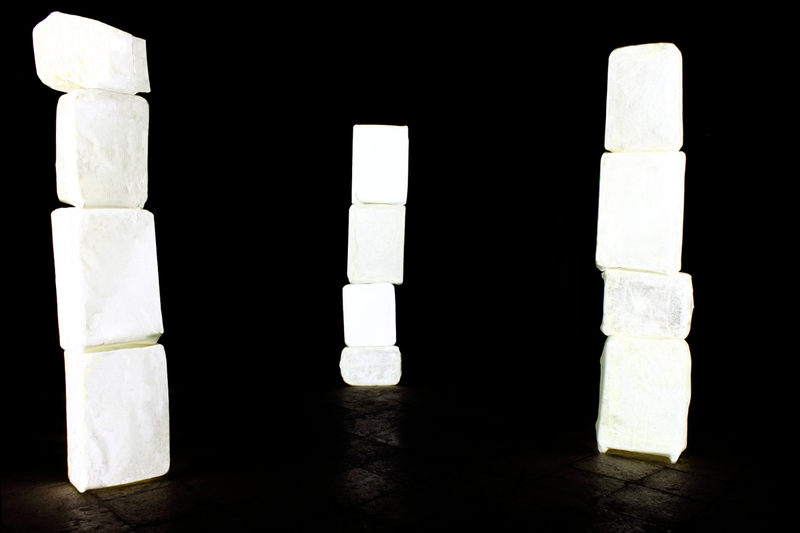 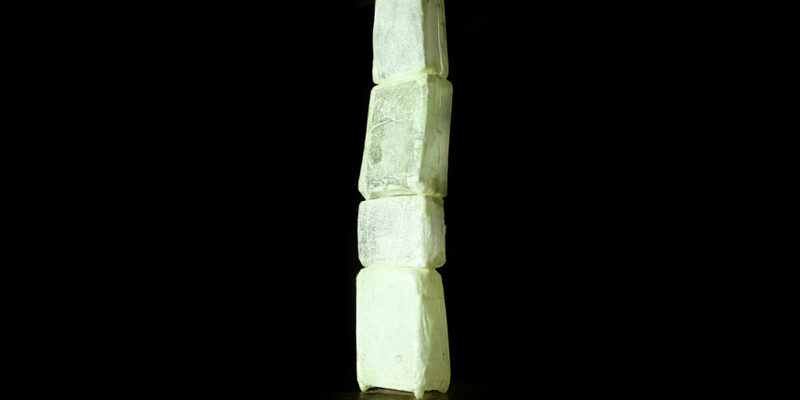 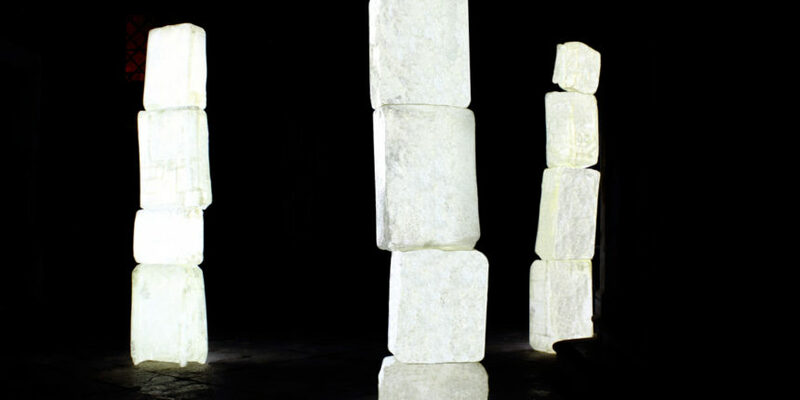 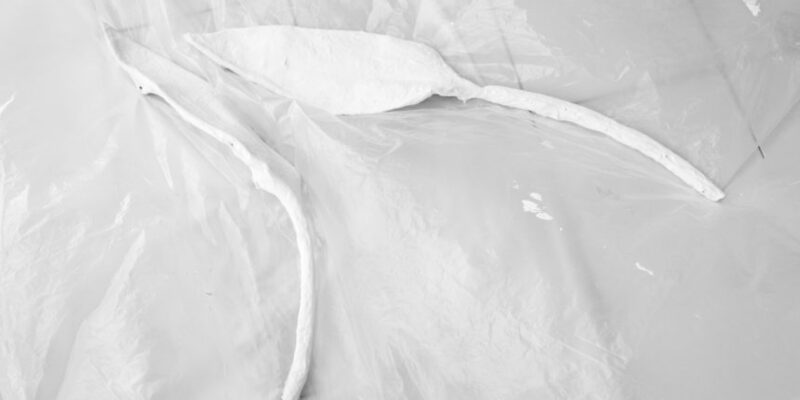 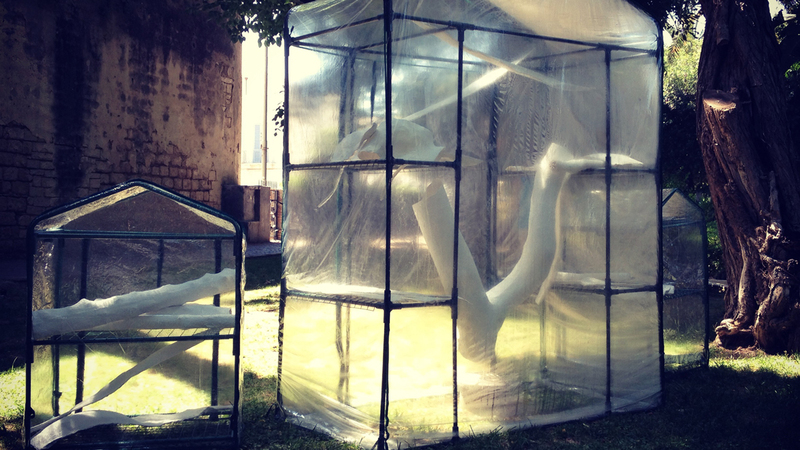 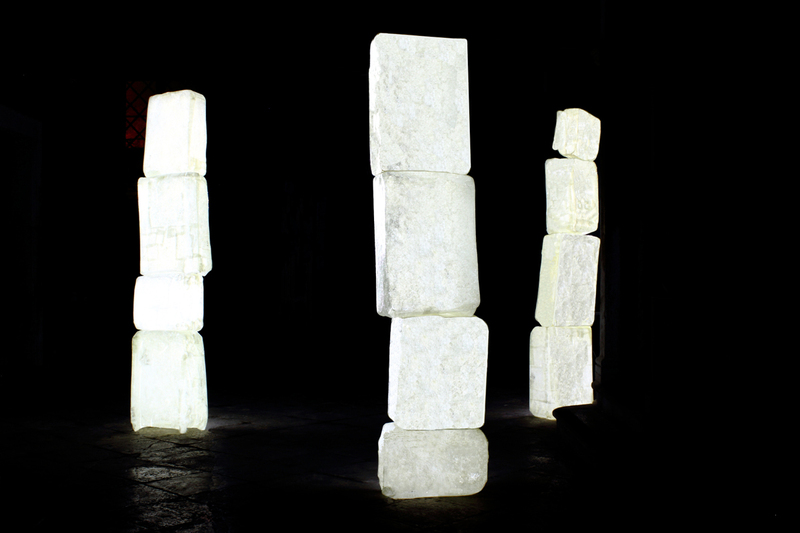 This work explores the decline of the body in favour of the image which, once in contact with matter, is transformed in energy. The digital vision becomes concrete through the use of a projection and becomes master of the body/performer, violating it by its interior, and generating through it a new structure. 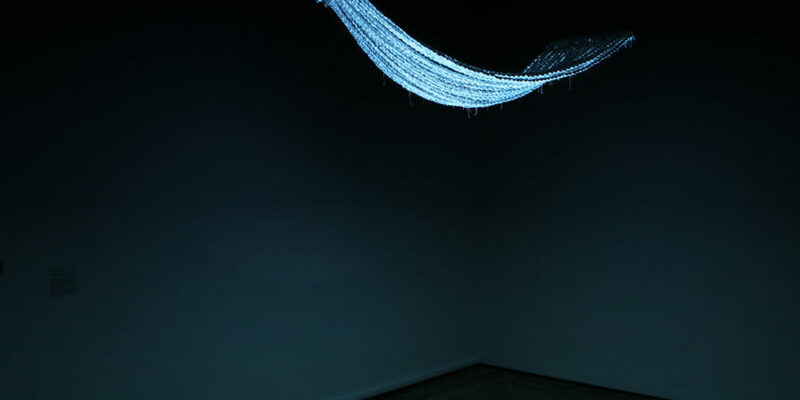 This conflicting exchange between body and vision relentlessly ends with a deprivation of the element of the body, which will slowly be fading away. 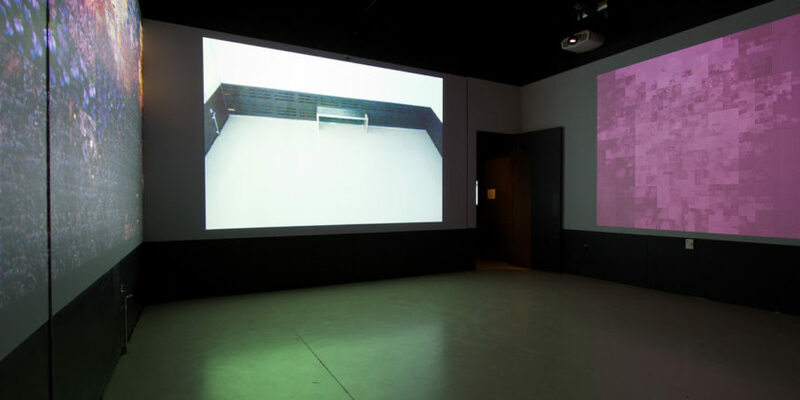 The end is to represent an image which is able to flaunt in matter, showing itself in the tangible reality. 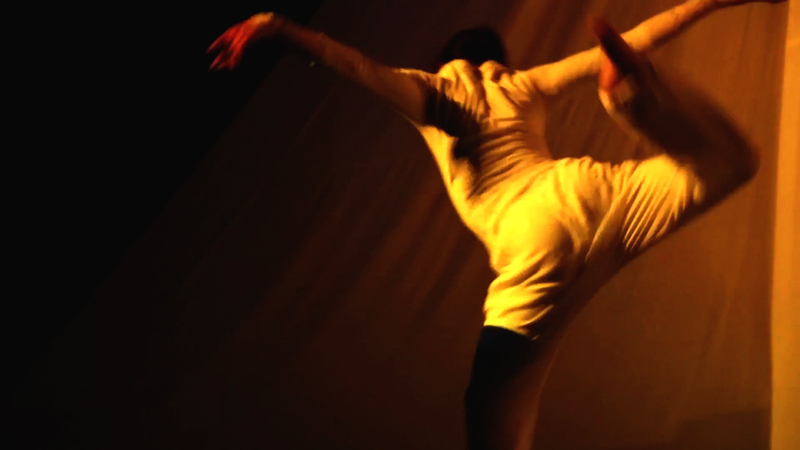 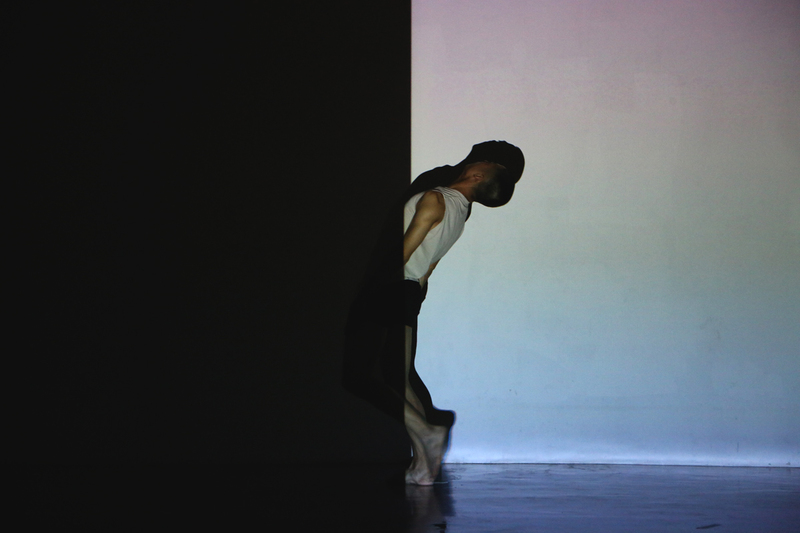 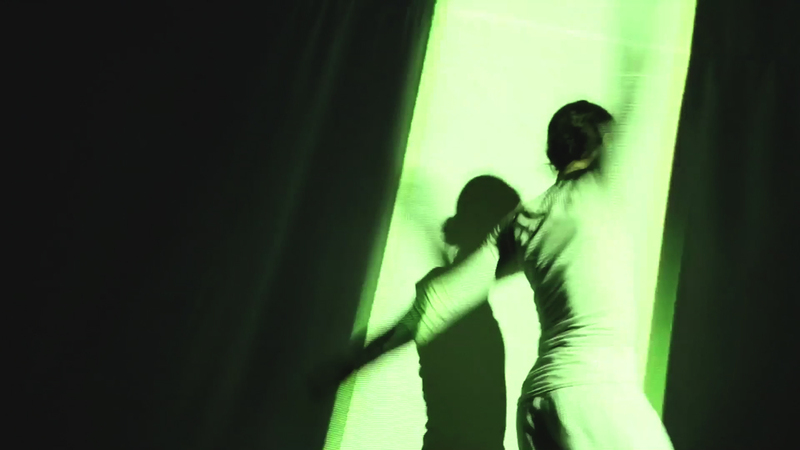 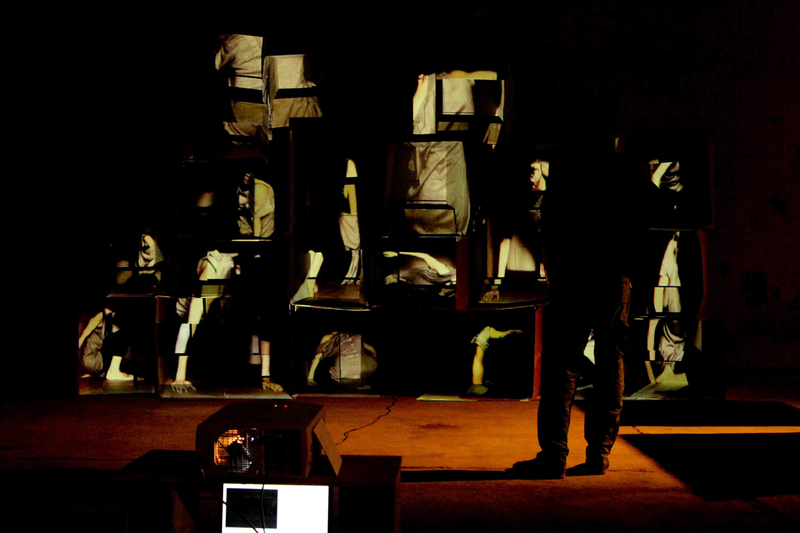 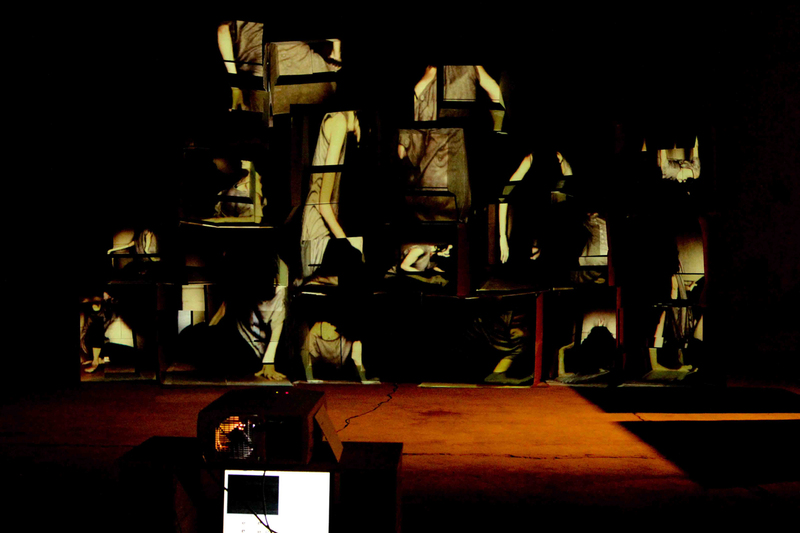 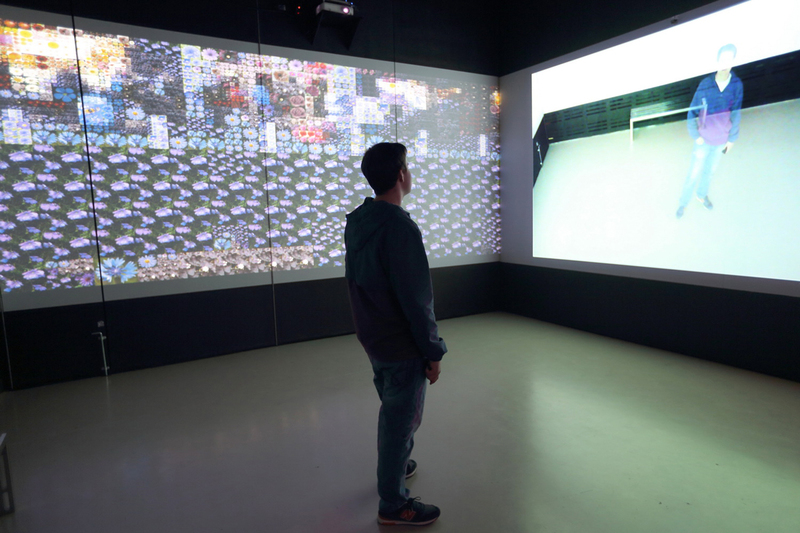 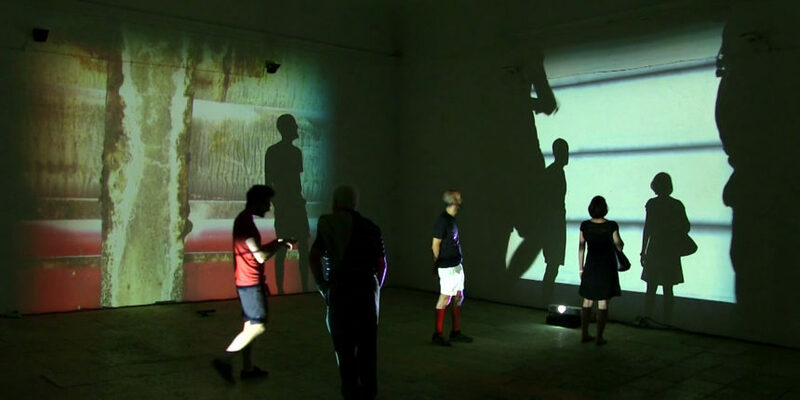 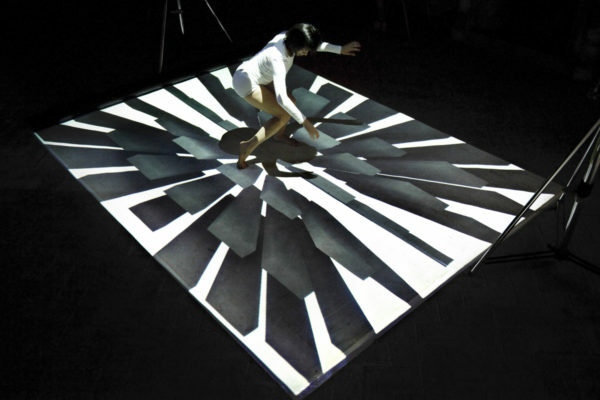 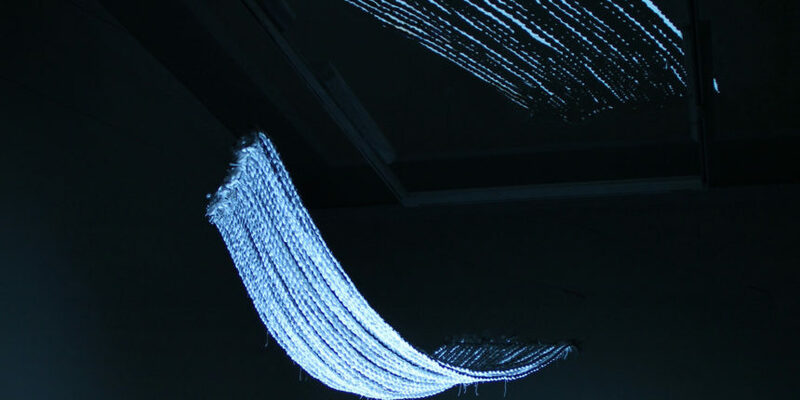 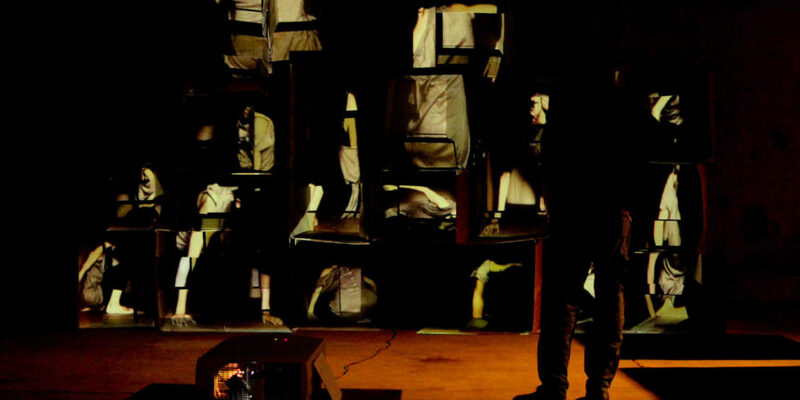 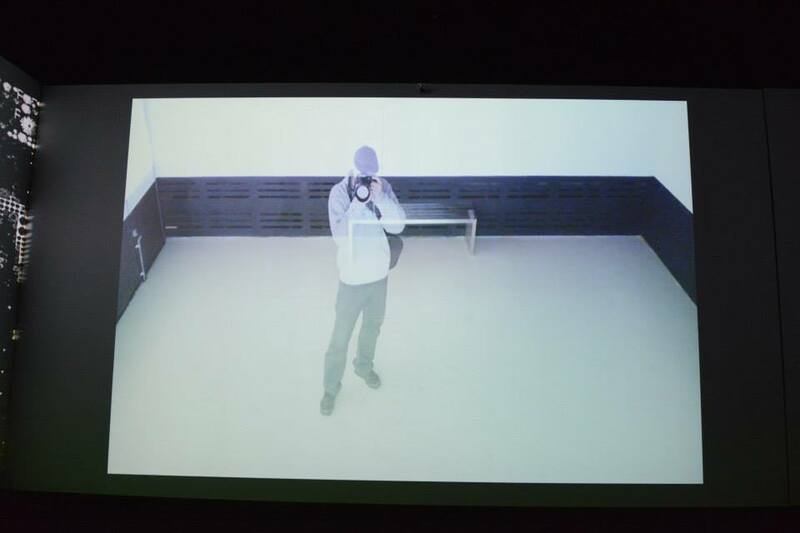 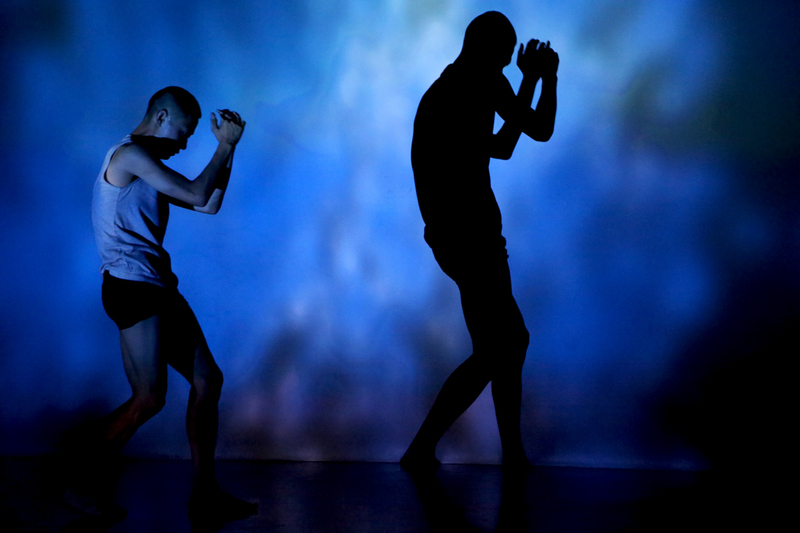 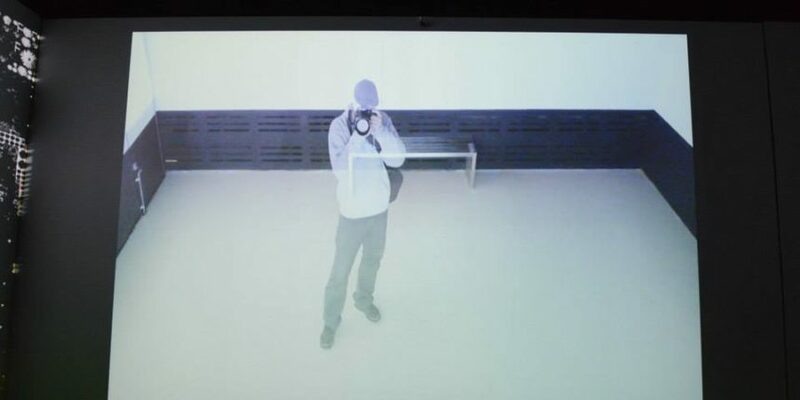 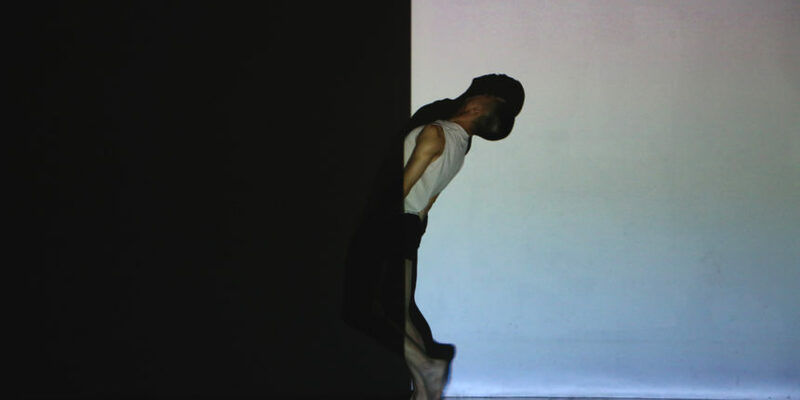 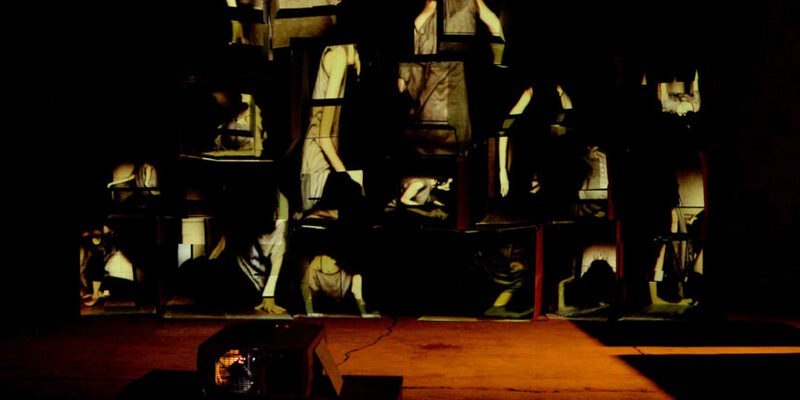 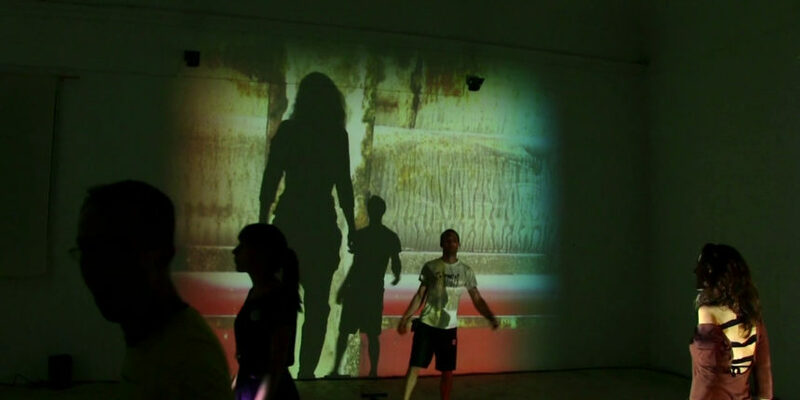 The movements of the performer are recorded in real time through the use of a camera; the movements are therefore associated to changes of the image projected in the decided setting. 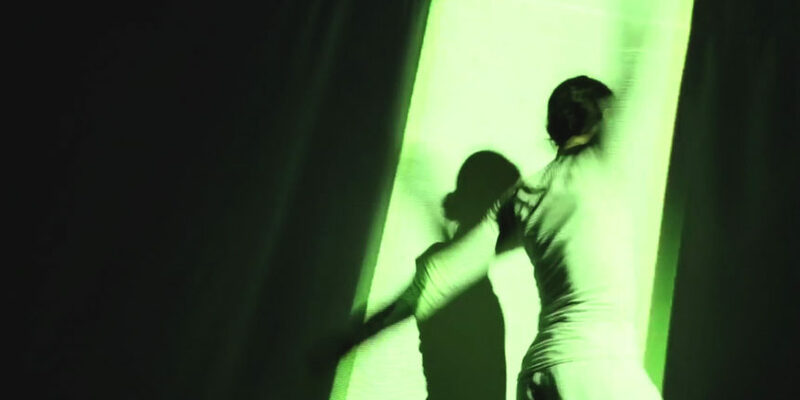 This way of developing a narration, in a dialectic that unites space and body on the same level, permits a more tighten and intimate vision, addressed to one and only view point.